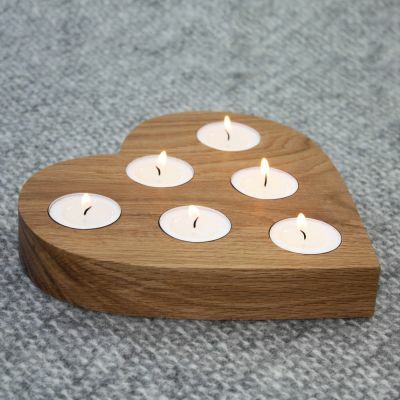 Perfect for decorating the mantelpiece or dotting around the dinner table, our endearing wooden heart tea light holders work best in numbers. 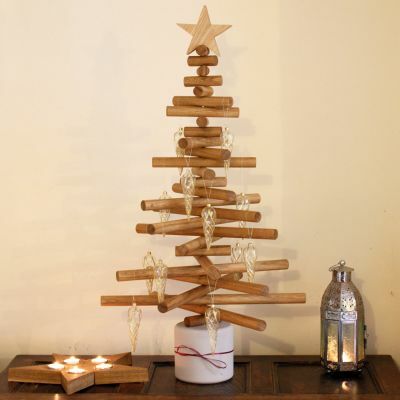 Handcrafted from only the most characterful timber, each with its own distinct pattern and grain, they go beautifully in every home. 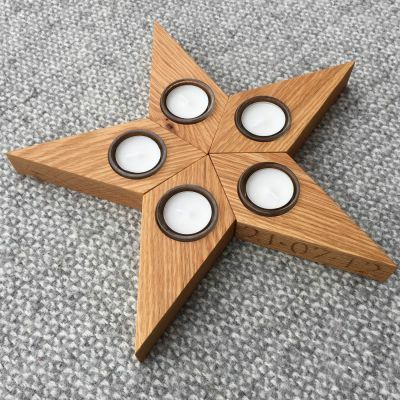 These decorative tea lights make the ideal gift for Birthdays, Valentines Day, Anniversaries and other special occasions. Buy 3 hearts for £30. Oak or yew, finished with Danish oil.